Thank you!! I'm happy to know people are actually reading my posts - makes me feel amazing. Again, thank you! I live in a country where the majority are Muslims. But I'm just curious how Muslims who are in the minority live in other countries. When the whole phobia regarding Muslims are rampant, even my friends who live overseas are afraid to wear their hijab in public. 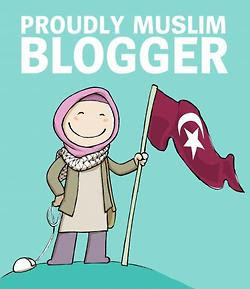 Yes, I have been wanting to write a post on my decision to wear hijab and what it means to me, etc... Insha'Allah I will write it soon! Yes, I am now following you on Twitter and Networked Blogs! I look forward to getting to know you more!